Now for the regular Beef Brisket Noodles, they were of course not brisket. Yet once again, they were moist and in fact, the gelatinous tendon in the shank was pretty good. It practically melted without the need to chew. 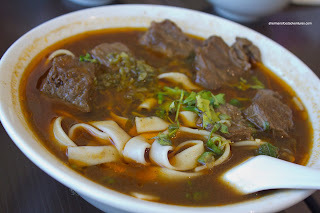 The soup base, without the benefit of the chili oil, was flat. Actually, the soup was dominated by the pickled mustard greens which made it too sour. That was not a pleasant taste. I like my mustard greens in TBN, but I don't want it as the main flavour. Noodles were good though. 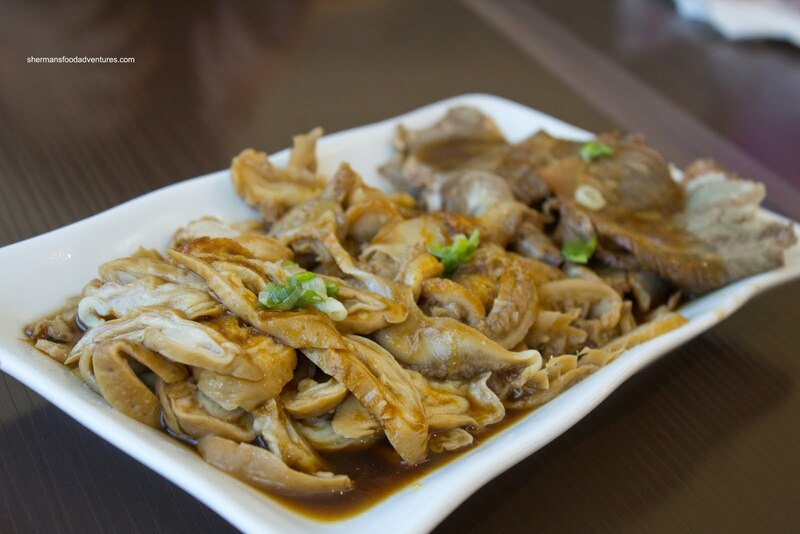 Whenever I'm at a Taiwanese restaurant, a plate of offal is usually in the cards. So, I went for the 3 Marinated Meats Plate which included pork intestine, tripe and sliced beef shank. This was pretty average at best. First of all, the meats were served far too warm, so the intestine and tripe were basically mush. That also indicates that they were cooked too long as well. Normally, there is a sauce drizzled on top; yet in this version, the braising liquid acted as the sauce. The whole thing became watery. The sliced beef shank was okay though. Another appie was the Green Onion Pancake Beef Roll. 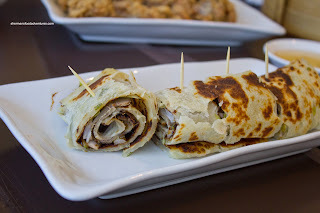 It was made with the same sliced beef shank, so that part was okay; but the pancake itself was a touch dense. Not a big deal though since it was thin and pan-fried nicely. It could've used a bit more hoisin though. Viv's mom ordered the Fried Tofu and at first thought it would be a boring dish. Although, it wasn't exactly exciting, it was executed properly. 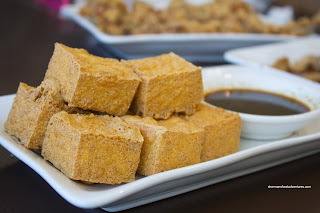 The tofu was fried perfectly crisp on the outside and was silky on the inside. The accompanying dip was a bit weak since it was mostly sweet. Would've been nicer if it had more of a salty kick since tofu is really a blank canvas. By virtue of not being a Shanghainese restaurant, we were not expecting much out of the Xiao Long Bao. And it delivered more or less what we expected. The dumpling skin was on the thicker side and doughy while there was a complete absence of soup inside. The meat was not too bad though. It wasn't gritty and did have some resemblance of meat flavour. Yet, there was no mistaking that these were not Shanghainese XLBs. Strangely, these compared similarly to the ones I had at The Shanghai Kitchen... Which doesn't bode well for The Shanghai Kitchen I guess. Whereas the XLB was nothing to write home about, the Potstickers were pretty decent. 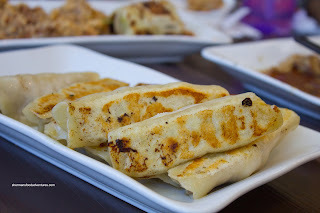 Presented in the classic long Taiwanese-style, they were pan-fried nicely on the bottom. Moreover, the dumpling skin was not thick at all which made these easy to eat. The meat filling was quite nice. It was substantial while not being heavy either. It was not gritty and there was enough seasoning which made the dumpling good on its own without the need for any vinegar. As for the kiddies, we got them an order of the Soup Noodles with Fried Chicken Leg. 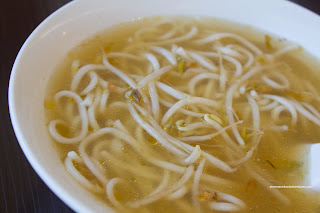 Arriving first was the bowl of thin noodles in a light broth. The broth itself wasn't too bad considering that there was no meat in the bowl to help it out. Although it could be a bit bland for some, it worked out okay for the kids. 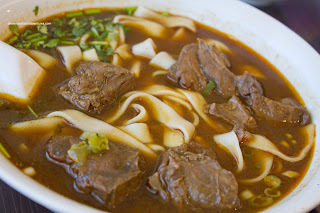 The thin noodles were a bit softer than the thick ones; yet wasn't a big deal for the kids. I probably would've liked them more chewy. The fried chicken served on a separate plate was "interesting". 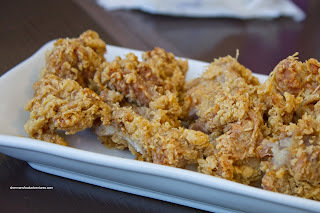 They essentially deboned a chicken leg and fried all the pieces up with a lot of flour and/or starch. Then they also fried up the bones, which yielded very little meat. Now about that meat, it was obvious they had cooked the chicken prior to frying it. The result was very dry chicken with no juices to speak of. We actually liked the crisp exterior and the seasoning; however, the dry chicken ruined it all. The precooking of the chicken is a shortcut that shouldn't be used. If they had fried the chicken from raw, this would've actually been very good due to the crispy exterior. This pretty much summed up the food here at Wang's. In a city full of Taiwanese joints, Wang's was a bit hit and miss for us. There was too much "averageness" to elicit any excitement from anybody. With that being said, the food wasn't terrible. So it is an option for people in the area looking for a quick meal. However, if one was mobile and willing to travel, there are better choices in Richmond and Burnaby. 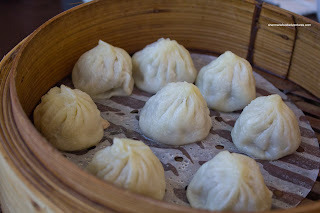 Xiao Long Bao must have think skin, or else its like having any other dumpling. Good review. 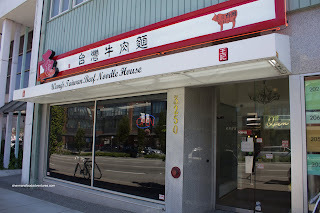 I live a stone's throw from them, and they are light years behind their Marpole location. I've been 4 times and every time was a total meh. Service is indifferent (when available). Food is lukewarm. Beef broth is lacking whatever it is at Marpole, no depth, no flavour. Same for the beef chunks. One time our gyoza/panfried dumplings arrived semi-cooked, still with bits of raw dough on some parts. Yum! Just wrote about an "offal" experience myself! @Luxual Can't agree with you more about the XLBs. @LR Strange they are so different eh?